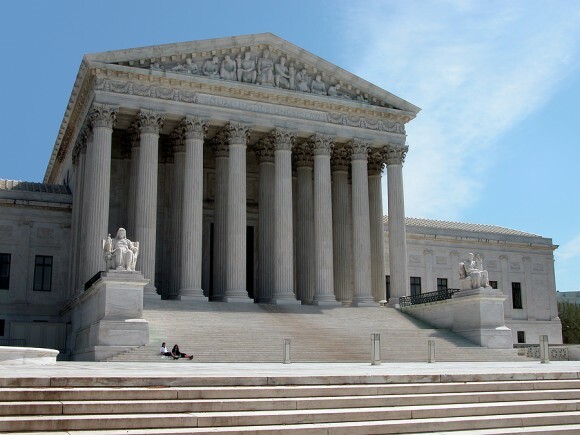 U.S. Supreme Court justices could decide on Tuesday to review religious objections made by corporations to a provision of the 2010 federal healthcare law requiring employers to provide health insurance that covers birth control. The key question before the court is whether corporations should be treated the same as individuals when making free exercise of religion claims rooted in the First Amendment of the U.S Constitution. A 1993 federal law called the Religious Freedom Restoration Act made it easier for people to sue when a government action restricts their religious rights. One of the questions before the court is whether corporations can also sue. 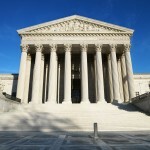 The issue comes before the court three years after a major ruling in which the court was seen to side with the notion of corporate personhood. On a 5-4 vote, the court endorsed broad First Amendment free speech rights for corporations in the campaign finance context in a case called Citizens United v. The Federal Election Commission. The ruling prompted a considerable backlash from liberal activists and was criticized by President Barack Obama. The so-called contraception mandate of the Patient Protection and Affordable Care Act, also known as Obamacare, has led to a flood of lawsuits saying it violates the religious rights of employers opposed to birth control. A decision on whether the nine justices will consider one of several cases before them could come as soon as Tuesday afternoon. If the court takes up the issue, an oral argument and ruling will be expected by the end of June. The Supreme Court is expected to agree to hear at least one of the cases because federal appeals courts are split on the issue and parties on both sides – the Obama administration and closely held Christian business owners that object to the provision – have both asked the justices to take it up. The mandate under Obamacare is supported by women’s rights groups who say the provision, which does not require patients to make any out-of-pocket payments, was a step forward for women’s health. “People are arguing that bosses should be able to make their employees’ health decisions,” said Sharon Levin, director of federal reproductive health policy at the National Women’s Law Center. The legal questions surrounding U.S. Health and Human Services regulations issued under the preventive health provisions of Obamacare (the law) have not previously been before the court. In June 2012, the justices upheld the constitutionality of the law’s core feature that requires people to get health insurance on a 5-4 vote. The new cases are not a direct challenge to the contraception mandate itself, only to how it is applied. If the court agrees to hear the Hobby Lobby case, it would likely pit two of the lawyers who went head-to-head in the 2012 case against each other again. Paul Clement, who represented challengers to the healthcare law, is one of the lawyers for Hobby Lobby, while Solicitor General Donald Verrilli would be expected to argue on behalf of the government, as he did in the earlier case. The healthcare law require employers to provide health insurance policies that include preventive services for women that include access to contraception and sterilization. In January 2012, the Obama administration made final a decision to exempt religious institutions from the regulations following an outcry from the Catholic Church and others. The regulations cover various types of contraception previously approved by the federal government, including Plan B, the so-called morning-after pill, which some Christians particularly object to, viewing it as a form of abortion. A group of medical organizations, including Physicians for Reproductive Health, have backed the administration, stressing in court papers that Plan B and another morning-after pill, ella, should not be viewed as abortion drugs. They inhibit or postpone ovulation so that the user does not become pregnant, the groups said. Countering that view, various anti-abortion medical groups, including the Christian Medical Association, said in court papers that such contraceptives interfere with implantation, which occurs after an egg is fertilized, and that life begins at fertilization. The Supreme Court has in recent weeks acted on cases addressing abortion directly. Last week it declined to block a new Texas abortion regulation from going into effect and on two occasions in recent weeks it declined to review Oklahoma Supreme Court rulings that struck down new state restrictions. In addition to the three cases the justices are due to discuss on Tuesday, Liberty University, a Christian college in Virginia, has its own petition before the court raising various challenges to the healthcare law, including claims relating to contraception. There are two other contraception mandate cases pending before the justices but they will not be under discussion at Tuesday’s private conference. Why are you against family planning? It seems sensible and responsible to me. And for the third time, please explain your pollution comment. Robert - time to pack up the pulpit and move on buddy.